What seasonal vegetables are you eating right now in October??? 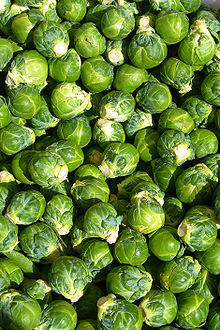 In the northeast, Brussels sprouts are harvested from now until Thanksgiving and beyond. As a matter of fact, the colder it gets, the sweeter the brussel sprouts! I was recently at a ‘lunch n’ learn’ in Cranston, RI and when I brought up the health benefits of cruciferous vegetables, I had to mention brussel sprouts. The cancer protection from the phytochemical, glucosinate in those miniature cabbages is known to top the amount found in mustard greens, turnip greens, cabbage, kale, cauliflower, or broccoli. When I mentioned brussel sprouts, I saw someone in the group turn her nose up…I had been massaging kale at the time and was immediately schooled by the attendee who said there is no way she could learn to like brussel sprouts no matter how healthy! In fact she went on to say that even roasted with pure maple syrup, she just couldn’t get them past her nose!!! As I continued to massage the kale, my nose got a whif of sulfur and I was silently praying my food demonstration wouldn’t be a bust. That smell has everything to do with the health benefits, I kept telling myself… “I am not suggesting you eat something you don’t like,” that is unless you haven’t tried it a few times prepared a few different ways, then you get the free pass. No one wants to barf at the table…it makes for a serious ‘I told you so’. I continued massaging the kale until my 5 minutes was up and the sulfur smell seemed to subside. We voted as a group to add a mango to the salad and immediately found an experienced mango slicer in the audience. The mango was perfectly ripe, not too soft and not too hard. We added the fresh fruit to the kale salad along with some pumpkin seeds, lemon juice, salt and pepper…I was so relieved when the crowd seemed to truly enjoy the salad. Whew!!! A big thanks goes out to the Swarovski group. Once again, I learned by listening to all the experienced eaters, the mango cutter (and her mother) and especially the attendee who turned up her nose…thank goodness I didn’t bring brussel sprouts. The cancer protection we get from Brussels sprouts luckily is in other cruciferous veggies as I mentioned above. The vitamins and minerals in this class of vegetables keep us healthy in addition to boosting our immune systems just in time for flu season and the holidays. Roasting kale, cauliflower and broccoli in a hot oven makes for a sweeter taste. Adding salt and pepper and maybe even a sprinkling of grated cheese or other spices makes any and all vegetables more enjoyable. Enjoying food is important! P.S. the brussel sprouts ‘hater’ LOVES Broccoli rabe! Whole grains and veggies taste better when cooked along with added ‘good fats’, like extra virgin olive oil or coconut oil and SPICES. Salt, pepper and garlic are our ‘usuals’ but don’t stop there; try cinnamon, oregano, cardamom, turmeric, rosemary, ginger and nutmeg. Use herbs and spices and your tastebuds, mind and body will more likely remember what you ate, which will keep you satisfied longer. Try a new vegetable once per week, buy ‘in-season’ veggies from the store or a Farmer’s Market. Share new recipes with your co-workers and get excited about how you are fueling your body. At the end of a long hard day, use herbal teas to wind down vs. empty calorie snack foods or high fat ice cream. Sleep will come easier and you’ll wake up refreshed and hungry. This is so true. There were certain veggies I did not enjoy when I was forced to eat them as a child. ( canned green beans were the worst) love them now sautéed in garlic and some butter) They must be fresh.. The canned I could do without. I love that my taste buds have changed and ditto about the fresh green beans with wholesome butter! Great side for Thanksgiving too! 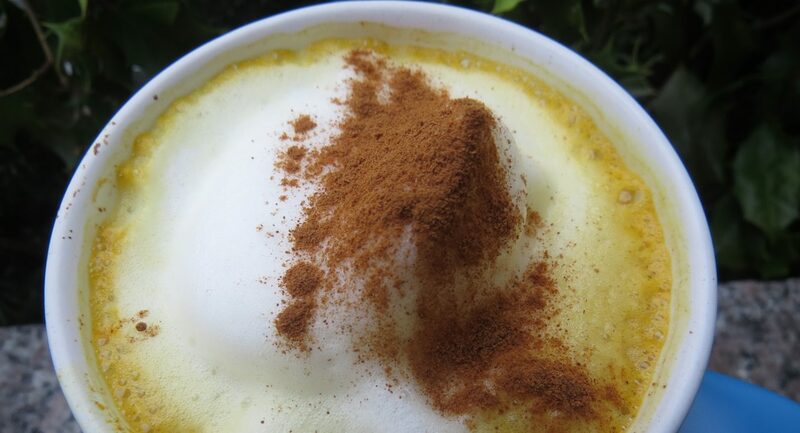 Taste buds change and so do we, you are so right!